Brad Bogolea is CEO and Co-Founder of Simbe Robotics, where he is responsible for the company’s vision and execution of its leading automation solution for the retail industry. In November 2015, Brad brought to market the Tally robot, the world’s first autonomous shelf auditing and analytics solution to help retailers ensure merchandise is always stocked, in the right place, and correctly priced. 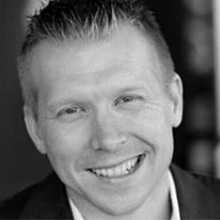 The NRF Foundation has named Brad to “The List of People Shaping Retail’s Future”. Prior to Simbe, Brad spent 10 years in the energy and wireless sensor industry. Most recently Brad worked at Silver Spring Networks (NYSE: SSNI), where he led global product management and business development efforts for their energy management and data analytics platform for energy utilities. Products under Brad’s leadership allowed the world’s largest utility companies and their energy consumers alike to gain efficiency and visibility of their energy usage through smart sensors and data.